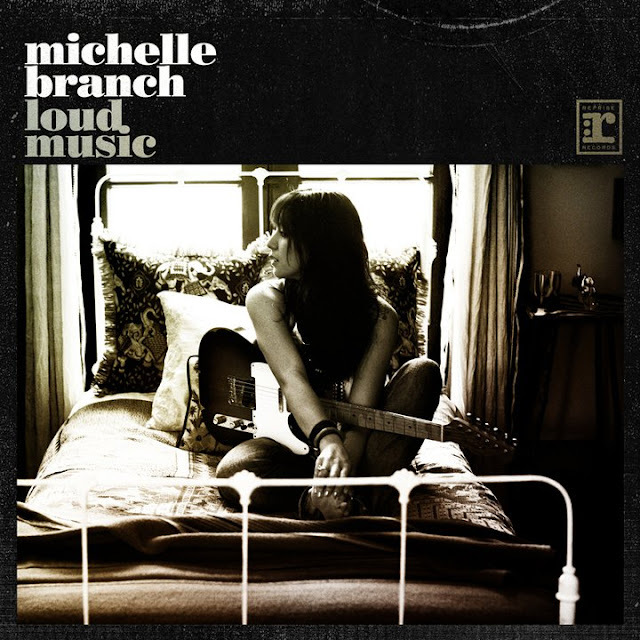 Just in case you haven't seen the video yet for the new Michelle Branch single, "Loud Music,"...here it is. "Loud Music" is the first official single to be taken from Branch's forthcoming third studio West Coast Time. The album was originally slated for release in September, but has since been pushed back to "mid October," according to Billboard. Perhaps that's a good thing, considering "Loud Music" has yet to make an appearance on the Billboard Hot 100, instead climbing Billboard's Hot Adult Top 40 chart, peaking (so far) at #22. Releasing another single between now and the album's Fall release could give Branch the chance to do a little bit more promotion for the record, her first solo record since 2003's Hotel Paper. Musically speaking, the mid-tempo pop/rock "Loud Music" picks up right where Hotel Paper left off, with a little hint of a country twang in the verses. The song was co-written by Branch and English UK team Jim Irvin and Julian Emery and released in America this past June. At only 28 years old, Michelle Branch already seems like a seasoned industry pro. She first made waves back in 2001 with the release of her major label debut album, The Spirit Room on Maverick Records. Following it's August 14th release, the album went on to peak at #28 on the Billboard 200 chart and went double platinum in 2010 with over 2 million copies sold. Debut single, "Everywhere," peaked at #12 on the Billboard Hot 100 chart, not to mention going Top 20 in Australia, and the UK (the song even went all the way to #2 in New Zealand). Follow up single, "All You Wanted" was even more successful stateside, peaking at #6 on the Billboard Hot 100. A third single, "Goodbye To You," (one of my personal favs) managed to peak just outside the Top 20. Joining forces with the legendary rock outfit Santana in 2002, "The Game Of Love" became a massive hit for both artists, peaking at #5 on the Hot 100 chart as well as #1 on both the Adult Contemporary Chart and the Adult Top 40 chart.